They say, there’s nothing like a nice vacation to refresh your soul – and people have to come to realize this even more, increasing the number of ardent travellers every day. Whether it is a weekend getaway or a month long sabbatical, people are finding every opportunity to head out to a new place – from desserts to historical haunts to mountains. There has especially been a rise in the number of international vacations. To be fair, with the boom in tourism industry, international travel is not even a big deal anymore. From pocket-friendly homestays to cheap international air tickets, travelling out of the country has become a lot easier. If you plan your itinerary and finances properly, you can do an international trip in as less as twenty thousand rupees. If you are flying out of the country, Mumbai would be your safest bet to book the flights from as almost all the major carriers around the world fly via this place. If you are not from Mumbai, you can head there a day in advance and then fly out from here. However, make sure that you book your hotels in Mumbai well in advance as there is always a rush of business travelers. Also, depending on which country you are travelling to, head out in preferably non-festive season to avoid the rush and also avail discounted rates everywhere. So ditch the local haunts and hit these four international destinations for an exciting yet relaxing – oh, and pocket friendly too – vacation that you have been waiting for! No less than exotic locations like Mauritius and Seychelles, Sri Lanka is a backpacker’s paradise. From grand Buddhist pagodas and monasteries to landscapes that will visually blow you away, Sri Lanka has everything that you could ask for in a vacation – gorgeous sunrises, pristine beaches, adventurous forest, and so much more. From the historical attraction of the Byzantines to having one of the most delectable cuisines – you cannot beat a Turkish mezze platter really – in the world, Turkey is a land full of surprises. Beautiful beaches, the famed hamams, gourmet handmade ingredients, historical ruins – Turkey has everything to make your vacation a truly colorful one. From movies to music, Hong has often featured as this vibrant, fast paced city with a life to blow your mind. But there’s more to Hong Kong than meets the eye. The Pearl of the Orient will keep your wanderlust astounded – from authentic, lip-smacking Cantonese cuisine to the nightlife at Lan Kwai Fong to Disneyland! International travels are definitely more affordable today, and if one really wants – they can head out for an international vacation every year. From Latin American countries to South East Asian ones, the options for budget travel are just one to many today. So, what are you waiting for? Start packing already! Myanmar, the golden land of Pagoras, is going to be new frontier for offbeat travelers. It has best of hidden and yet to be unearthed gems. Places like Bagan, Inle Lake, Mandaley and Yangon could preserve their old-world charm due to Military rule and now offer raw and enthralling charm. To feel this majestic country go for Pagoda Hopping in Bagan, cruise over Inle lake and just get lost in the by lanes of Yangon. I did my solo trip to Myanmar and enjoyed every bit of being there. For Indians it is very well in budget and people are especially welcoming for anyone from India. And, trust me it is very safe. 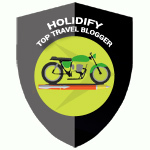 Stay tuned to get more travel tips, travel goals and ultimate travel inspiration. 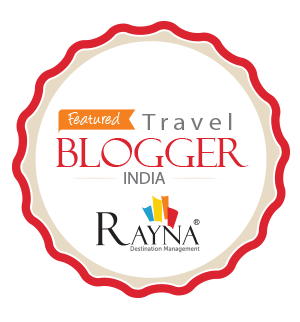 Still hooked on to India and crave to explore more of India, check out these Top 37 fascinating Destinations in India as recommended by Top Travel Bloggers. Save Hong Kong I have visited each nation. Dead on list my friend. We saw Myanmar earlier this year. Loved the place. Like how much of SE Asia must have been some 20 years ago, the place was a step back into the past. Locals were kind, engaging and not jaded by tourism at all. The food was good, although we got a little sick there; hygiene issues of course. Overall though we loved the place. Sri Lanka and Turkey absolutely rocked too.